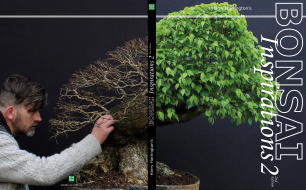 One of the great benefits of joining a Bonsai Club or Society has to be organised digs; where an area has too many trees for just one individual to collect, the club can become involved and with permission from the landowner, it's members invited to dig trees for their own bonsai collections. As well as offering an opportunity to collect material that is not ordinarily obtainable, club digs are an excellent way for beginners to learn from experienced collectors. In this article, Dave Glazewski of The Bonsai Society of Greater Hartford, Connecticut, shows the dig from April of 2005. My thanks go to Dave for his text and pictures. The Bonsai Society of Greater Springfield in Massachusetts, sponsored this dig and invited members of my bonsai club (The Bonsai Society of Greater Hartford) to join in. It was in a cow pasture where, with the owners permission, they had previously collected trees . Unfortunately, this might be the last year there will be any collecting as the land is due to be sold to developers. A small fee was charged for collected trees with part of the tree fees going to fund the society activities. The soil that the trees were growing in was a very heavy clay; once planted into a good growing medium, they grow very strongly and need constant vigilance to keep them in check. Most of the trees available were Apples that had been chewed on by cows and goats over the years. The success rate of trees collected from this site in the past is nearly 100 percent. Walking into the site, one was struck by the amount of little trees growing everywhere. It looked like some kind of bonsai nursery. I knew we were going to dig apple trees but walking up to the field it took me a while before I realized these "shrubs" were the apple trees, The leaves were so small. only about 3/8" to 1/2" of an inch long. After about five hours, the rain really started to come down along with some thunder and lighting! Being that we were in an open field and also the fact that digging in wet clay is quite hard on a person, we had to leave, but not before a good number of trees(40-50) had been collected.